SM Manila is now a Hot Spot for Techies and Foodies! As all SM Supermalls are getting connected, we move on to the SM Mall in the heart of Manila - SM Manila of course. Right smack in the middle of the City Hall that reflects the Old Manila, SM brings forth technology to modern Manilenos. A seamless blend of history and modern connectivity is born. Historical Manila has never been this connected and even now, SM Manila wants to create history as they boast one of the longest barbecue found in SM Manila's foodcourt.Look for Sizzling Plate to experience it for yourself! 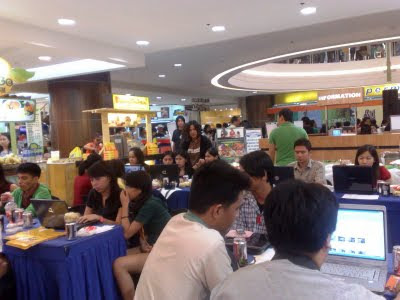 Today SM Manila brought together bloggers, traversing both Metro Manila and even the South. Making the event even more memorable are the diverse Filipino dishes served and where else to best experience this delectable delight than in Manila? 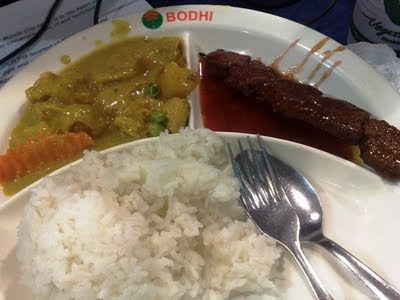 What I enjoyed best is the healthy food from Bodhi, being a health buff and also a foodie - Bodhi makes it possible to enjoy yummy dishes without the guilt. Lookie at the vegetarian barbecue, even better than the real one! 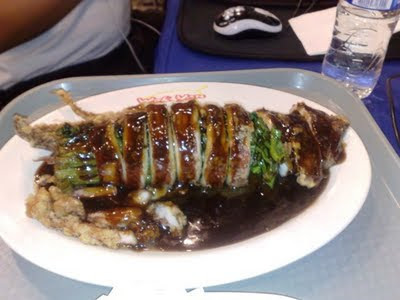 I also loved the stuffed squid of Wok Yan which reminds me of authentic Chinese food I experienced in traveling to China. With the free WiFi service of SM Manila that allows anyone to be informed, connected, and entertained - there is always a good reason to come down to SM Manila with family and friends :) The WiFi connection is excellent with any type of device - I tested it both on my Acer laptop and Nokia N95. 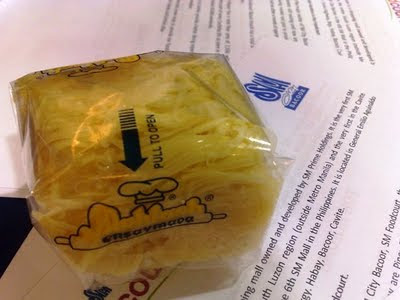 Today in SM Manila, I was able to submit project proposals via email, talk to my sister in Australia via Yahoo! Messenger, and update my blog for FREE. 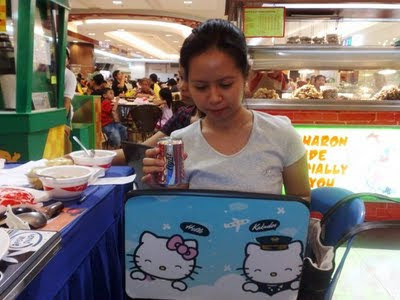 SM City Manila allows anyone to connect with family overseas with free WiFI - me and my sister in Australia who misses Filipino food so much! Thank you to SM Manila for letting us become part of their history and for providing Manilenos the gift of technology and connectivity. Connect with Friends at SM City Bacoor, a WiFi Hotspot! Marrying the best food choices and an ultra fast WiFi connection, SM City Bacoor energized a rainy Sunday afternoon with a blogger's event. Cavite bloggers meet for the first time, and what do you know - there is a growing breed of young and tech savvy bloggers in the heart of Bacoor. Definitely, SM Foodcourt is a great place to meet new friends and enjoy meaty conversations coupled with healthy and delicious food. During the blogger's event, favorite food stalls serve their best sellers like our well-loved Special Asado Siopao from Henlin, melt-in-your mouth Mulach Ensaimada and a warm bibingka from Bibingkinitan. 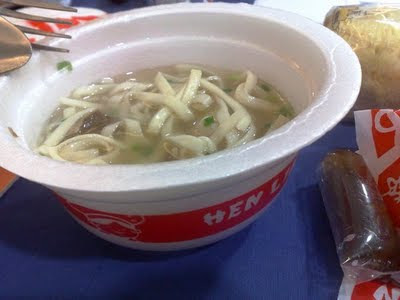 Coincidently, the hot noodles matched the cozy rainy weather which is always the perfect time to sit back and connect with friends on the Internet. Unlike other WiFi connections, the one in SM City Bacoor works well with any device. I used both my Acer Laptop and Nokia N95 and never experienced any lapse in connection. This place is surely a winner for bloggers who need to update their blogs on the go, whether it is about the latest shopping sale or a must-try Filipino dish for the family. 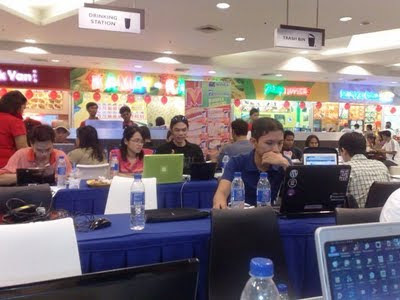 In fact, this blog entry is made on the spot of the blogger's event, using both WiFi Internet and bluetooth connectivity for the photos. When the price of every commodity is rising, it's hard to believe that there are still good things in life that are for FREE. SM City Bacoor provides free WiFi service to anyone of any age, bestowing the gift of technology and information to Cavitenos. Thank you to all the sponsors who helped make this fun event come true! Shawarma, Smokin Hot, Isda, Kusina ni Gracia, Kamay Kainan, Lydia's Lechon, Pinoy Toppings, Hen Lin, Baliwag Lechon Manok, and Seafood Grill. 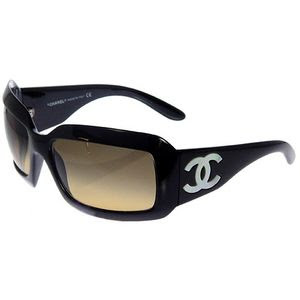 You will be mine soon! Been wanting to go to La Mesa Eco Park to support the project and hopefully, to help increase the number of real parks in the Philippines. We lack public parks that everyone can enjoy a picnic at or bond with their families for free. All we have are malls, malls, malls. Yesterday was a good time to go since it is a holiday. The picnic group was made of Nanay, Michael, Kuya Bernard, Mama, Liza, Azrael and me. I had to coerce Mama to go although her tooth was aching. Everyone needs to release sweat and connect with the environment. As usual the BFFs enjoyed their day out. We couldn't help but reminisce our days in Australia and plan our next trips. Actually, we called this day our Planning Session. I am very happy everyone decided to join and let loose. I hope you too can visit La Mesa Eco Park so that it may continue to provide families and young people a place to enjoy fresh air and learn more about nature.